Written in the wake of this loss, Be With breaks form to render Gander’s own brokenness, leaving gaps in the middle of lines and channeling St. John of the Cross. Gander explores his own dark night of the soul—and, as a poet particularly concerned with ecology, the dark night of our natural world. 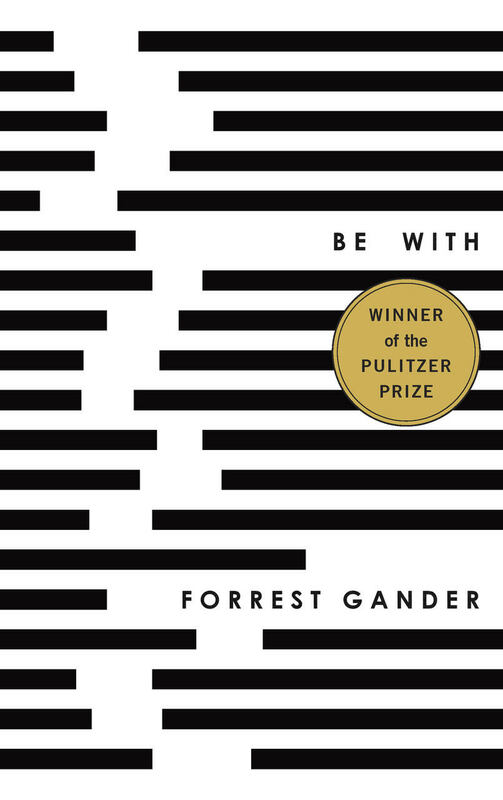 Gander’s verses have a shattering, symphonic quality, but he uses poetry to locate and dislocate at once, pushing against the borders of meaning or pitching his camp where language estranges itself from sense. There are dazzling fragments, unraveling syntax, poems that, in their ghostliness, also force us to be alert to our own fragile lives. Life, death, and every minor phenomenon in between feels more vivid in Gander’s heartbreaking work. Be With charts the addled chronology of personal loss. Poetry often creates a supernatural-seeming rapport with the dead, but rarely has the communication between worlds felt so eerily reciprocal. Gander does not turn away from grief but dives into its awful and cathartic cascading beauty that wavers between gravity and weightlessness. Utterly naked and bereft, elegies, apologies, could-have-beens, Gander grieves and wonders about what’s left in his life. Reading this book may hurt, but it will help people to keep living through what they thought they could never survive. Gander’s love for formal, even archaic language and the quiet complexity of his syntax can build striking abstract landscapes in which the material and spiritual worlds seem equally intelligent. If Gander’s philosophical strain and flamboyant lingo suggest Wallace Stevens, and his conversance with science and his stress on the ‘ongoing’ recall A. R. Ammons, he insinuates a knotty, digressive intensity that is fully his own. A complex reading experience punctuated by intense beauty.